Happy August! The kids will be back in school before you know it, if they aren't already! 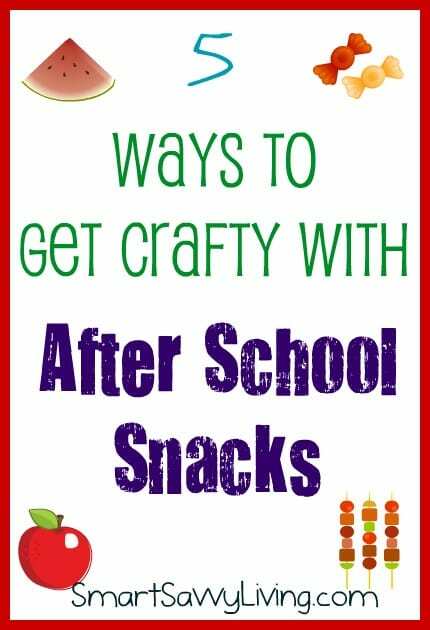 That means it's time to get crafty with after school snacks again. Do your kids get tired of the same old same old? Here are a few ideas for changing it up a bit. 1. Prepare snacks ahead ahead of time. Kids can easily become bored of the same old snacks and as parents it's tough to always have time to be really inventive. One of my favorite ways to get ahead of the game is prepare snacks ahead of time so they can be ready to go or be ready in just a few minutes. Vegetables like carrot sticks can already be cut up for the week while cookie dough can be sitting in the freezer for special treat days. 2. Make fun shapes and characters. Kids easily get bored with food just stuck on a plate, especially when it's healthier foods. Make snacks fun by creating different shapes and characters. Some ideas are creating a rainbow out of fruit, using cookie cutters to change up the shape of an ordinary sandwich, or decorating mini pizzas into their favorite cartoon character. 3. Try several small portions for bigger variety. Bento boxes have become all the rage lately and generally include several small portions of food. However, they don't have to be just for lunch! You don't have to get all fancy with a real bento box, but can use a 6-cup muffin tin, several small containers, etc. instead. A small piece of cheese, a few carrot sticks, a couple orange slices, and a small sweet treat can often be more appealing than a bowl of popcorn. 4. Let the kids brainstorm their own creations. One of my favorite ways to eat my food as a kid was when I got decorate it in my own style. Let the kids make their own ants on a log (celery filled with peanut butter and topped with raisins), ice their own cookies or mini cakes, create pictures with their fruit before eating, make an unordinary sandwich (such as apple slices for bread filled with peanut butter) or whatever meets their fancy to make after school snacks more fun. 5. Make store-bought items special with a homemade touch. While we do try to eat mostly fresh these days for health and frugality, there are some days the kids want a special treat or you may only have time for something store-bought. 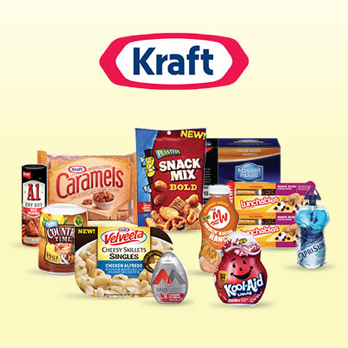 One of the best ways to get krafty with after school snacks on a budget is to buy KRAFT products at Dollar General. There you can find great deals on items like KOOL-AID LIQUID, CAPRI SUN Big Pouch, PLANTERS nuts and more. I always loved having a handful of PLANTERS cashews to go with my KOOL-AID as a kid! You can even find a few recipes at the Dollar General site to renew classic favorites. My favorite are the Frosty Strawberry Pops since they combine a kid-favorite (and honestly adult, too) beverage with fresh fruit! Do you use any other Ways to Get Krafty with After School Snacks with your kids?